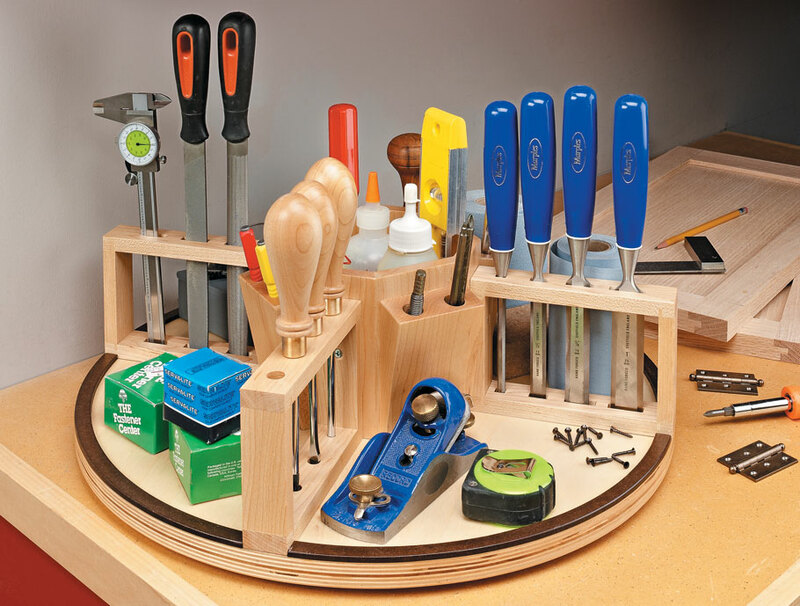 Keep your benchtop organized and your tools close by with this handy shop accessory. 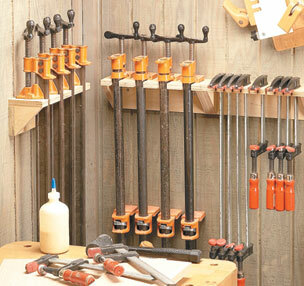 There are a handful of small tools and accessories that you need on most woodworking projects. 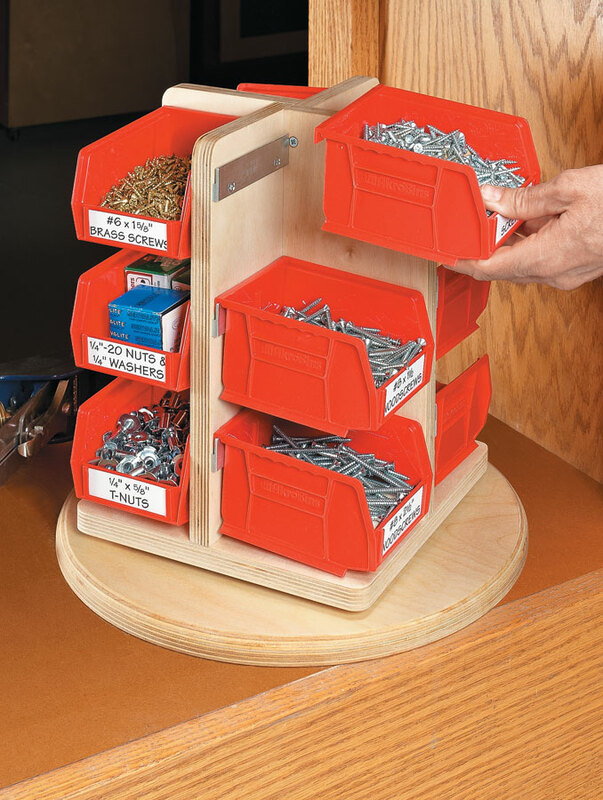 This circular tool caddy keeps all those tools close at hand. 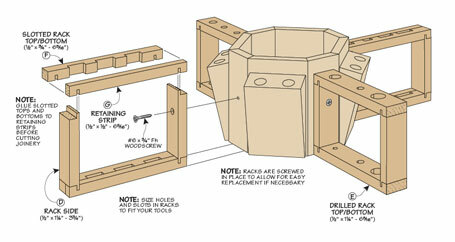 A central bin holds glue bottles and other items, and four radiating racks keep your tools in place. 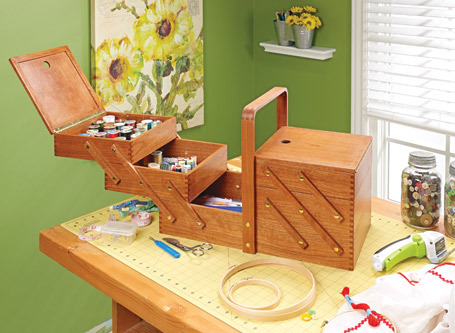 Plus, the base of the caddy is perfect for larger items and a lip around the outside of the caddy keeps loose hardware from falling on the floor. 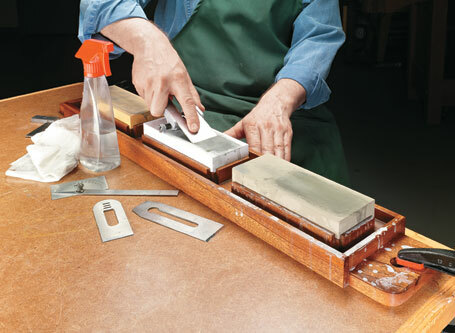 A handy sharpening station makes it convenient to use your waterstones. 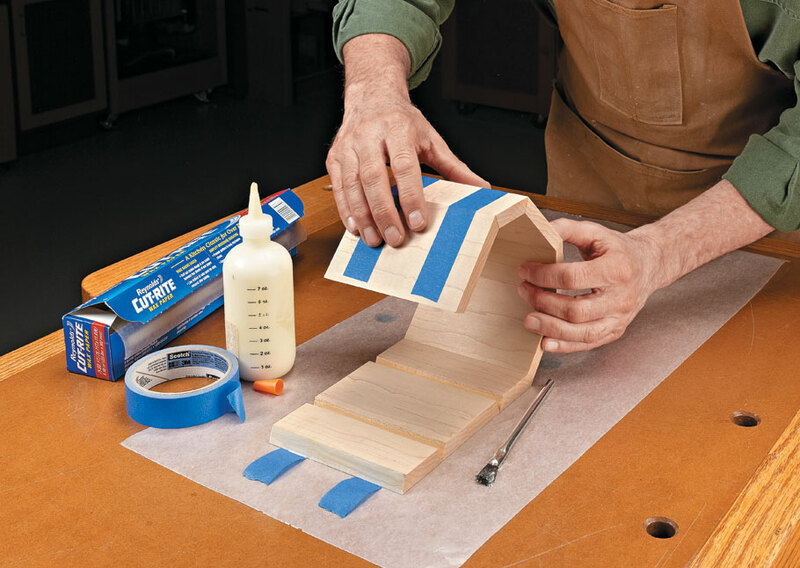 The result is sharp tools every time.